Most conventional artworks are created—sometimes over the course of many years and decades—and are then framed or put on display to be appreciated; they become a piece of the past. The transformation of a tree into a bonsai however, will leave the artist with a creation that is alive, almost like a companion, that requires commitment and patience as it keeps growing and changing over time. Flower art is present in many forms today ranging from detailed mosaics, tattoo design, intricate colouring books, to drawings and paintings. Flower arrangement, so obvious that we can sometimes forget it, is one of the earliest forms of floral art that has stood the test of time across oceans to different continents and is still present today. It is more than a two thousand year-old tradition that first began in China. However, flower art is not limited to traditional Chinese customs. It is also found in artistic expression without its deep-rooted ties to cultural and religious beliefs, bonding humans with nature in a more organic fashion. The art of floral arrangement originated in China during the period of Wei, Jin and Southern and Northern Dynasties. In Japanese culture there is a similar art known by the name of ikebana. In Chinese traditions this art strives to artificially mimic natural irregularity, whereas masters and amateurs practicing the art of ikebana ultimately strives to emulate simplicity. A study called “Occupational Engagement and Meaning: The Experience of Ikebana Practice” conducted by Allison M. Watters, Christine Pearce, Catherine L. Backman, and Melinda J. Suto has shown that practicing ikebana offers a creative outlet that can promote self-growth and discipline while establishing a connection with nature. “[It] was perceived by participants as a means of promoting physical and mental health and well-being,” they wrote. Orysia Krywiak is the co-owner of the flower shop Fig Fleurs, located in Pointe-Claire. Having been in the flower business for over two decades, Krywiak has dedicated her career to creating and promoting floral design, and sharing the beauty of nature with her clientele. Fig Fleurs caters to the various wants and tastes of a wide demographic, who purchase flowers to enliven their homes, give gifts or celebrate holidays. “But you’re surrounded by beauty and nature,” she continued. Art involving the manipulation of trees is specific to East Asian cultures. The age-old tradition, marrying human artistry to nature by crafting a small tree, is known as bonsai. That art also originated in China, where it was called penjing, before it crossed the sea and was mastered in Japan where it flourished within the Zen Buddhist culture. Isabelle Harvey, vice president of the Société de bonsaï et de penjing de Montréal, explained that bonsai is an art form that each artist will interpret differently; there is no right or wrong way to do it. Harvey simply described it as a skill anyone can learn, and said everyone is capable of learning how to interact with the trees. The SBPM, a non-profit organization founded 40 years ago, has a long established partnership with the Botanical Gardens in Montreal and works to promote the art of bonsai in Quebec. Their annual exhibitions display around 45 to 60 bonsai crafted by the members of the SBPM who are passionate amateurs. “They had a year or two […] of experience and their trees were amazing, and people like it, they are happy to share,” Harvey said. She emphasized that the artist is engaging with an ever-growing piece of work which allows a relationship to form between the tree and its owner. The art of bonsai evolved over centuries as it was transmitted from one generation to the next and gained popularity in the western world during the twentieth century. As the art became globalized, it was interpreted and adapted in different ways. 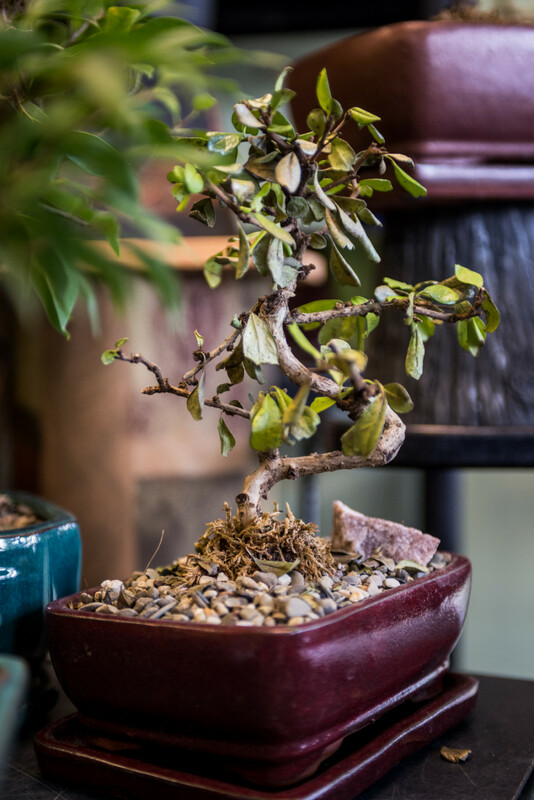 In other words, organizations in Montreal such as the SBPM adhere to the traditional Japanese guidelines, rules and principles regarding the measurements and shapes of bonsai. A motif that strings together all practitioners of floral art, regardless of any cultural elements or beliefs, is the reward of creating an ideal aesthetic and the self-satisfaction derived from the personal connection with a part of nature. The art of flower arrangement and bonsai is interpreted differently between cultures and individuals. The objective is to reach a harmony between man and nature—which is manifested differently for everyone—while learning and mastering techniques that contribute to one’s grounding. How Do They Stay So Small? The term bonsai translates to potted tree. (“bon”=dish/pot/container + “sai”=planted tree/plant). Contrary to popular belief, a bonsai is sculpted out of a standard full-sized tree. In fact, these curiously small creatures require ceaseless maintenance and a lot of patience. There are two ways of creating a bonsai, either starting with a full-grown tree, or starting with a seed. Bonsai are kept small by the trimming of the roots. Harvey explained that after each alteration through wiring techniques or trimming, the tree needs time to adjust and grow into one’s desired shape. It can take months and even years to craft a bonsai, depending on the age of the tree before the transformation begins. Harvey pointed out that some bonsai are crafted from the trees planted along residential roads when landowners want to see them removed. Those grown trees can then be recycled into bonsai. This happens because bonsai are traditionally planted in a soil with lots of small stones in it. Having the option to create a bonsai from a seed or to craft it from a grown tree demonstrates the dualistic aspect of bonsai. The pot or container, which is an essential part of the final product’s design, retains the bonsai at a certain size. Harvey explained that the pot must seem like a continuation of the bonsai and the feeling it evokes. The price of a bonsai varies depending on its age and size. On average, Harvey estimated costs at $150. However, she noted that the buyer must be mindful of quality. She said buying from certain nurseries or greenhouses such as Les Bonsaï Enr. 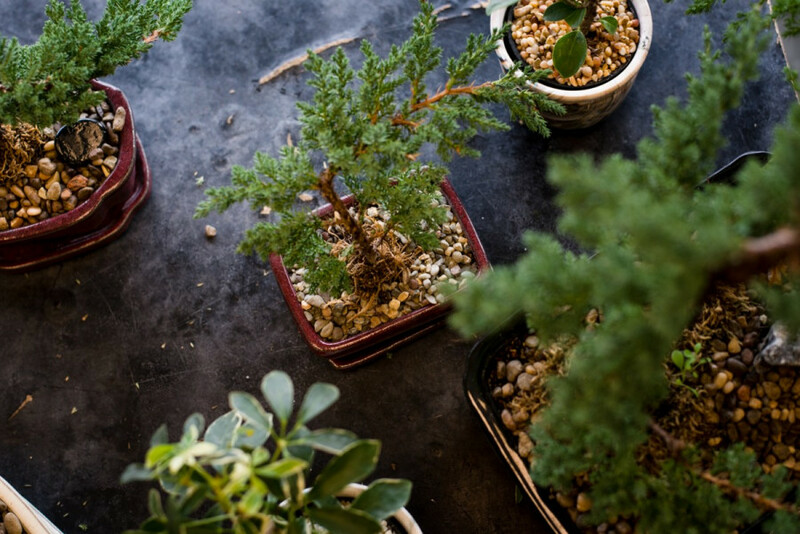 and Bonsaï Gros-Bec located in Montreal will ensure that the bonsai is of good quality and health. “[It] is a fun art because it is so small that everyone can have it, even in an apartment, as long as you can meet the plant’s requirements,” Harvey said. “It’s a mutual relationship that we have,” Harvey continued, describing profound connection to her trees. “You need to always think about your trees, almost as much as you care about your kids,” she said, laughing.